The Neil Mackenzie Adventure Grant was set up in 2015 in conjunction with the Trust by The Varsity Outdoor Club (VOC) at the University of British Columbia to give members the opportunity to find adventures, mainly in Scotland. For past awards and links to VOC trip reports click here. This grant is only available to VOC members. Applications for 2019 grant have now closed. Winners will be announced at the VOC Banquet on 14th March. Incidentally, one of Neil’s last trips reported to VOC was to Mount Shuksan (shuksan trip report). 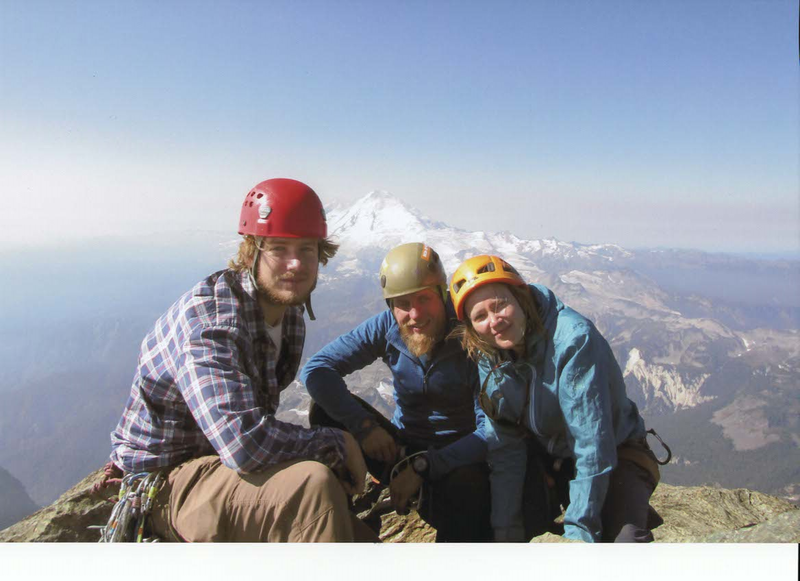 The photo at the top of this page was Neil (centre), Steffi Grothe (who died with him on Joffre Peak on 11th January 2015) and friend and colleague in CBR, Alex Bauer Westbye. The following week Neil took us (Angus and Margaret) to the ski area at Mount Baker and we watched another VOC group tackling Shuksan!